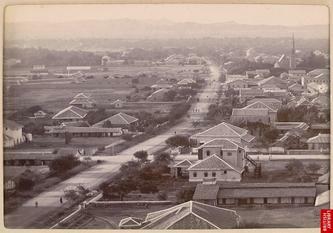 My family used to live in a place named Nagar Thatta, near Karachi. My father worked in Karachi. They left Pakistan at the time of Indo-Pak partition in September 1947,when my brother was only 6 days old ! 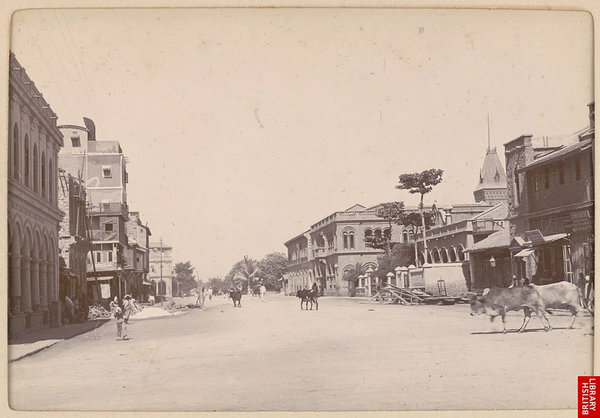 I was born in India,so never really dreamt, nor cared to wonder, how Karachi looked like. I knew about it only from what my parents used to tell me. We did not have any pictures of that place, because my family had to leave Pakistan all of a sudden one night ,without taking much & maybe they did not have any pictures, as in those times, not many people took pictures. 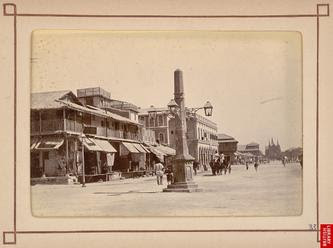 When my nephew sent me these old pictures of Karachi,I was thrilled! I wish,my parents were alive to see these pictures! Maybe they could have recognized these places! My father would have been overjoyed to these photos! What would have been my parents reaction...........I'll never come to know! I showed these old Karachi pictures to one of my clients. She is an old lady of 80 years & lives in an old age home, as she has no one. She used to live in Karachi before Indo-Pak partition & I thought, she would love to see these pictures.... & sure enough, so she was! She told me that I had made her day! She recognised her school in one of the pictures & started telling me all about the places, she saw in the pictures. In this picture, she showed me the place, from where her sister had fallen from the Napier Mole bridge into the river & drowned just two days before her marriage!!! But she was so happy to see these pictures that now she also wants to buy a computer & get internet installed! Whenever I meet her, she remembers these pictures.I think, this would have been my father's reaction, had he seen these pictures, when he was alive! Only if I can turn back times ......!s..i....g.h..
My client recognized her school in this picture by three towers at the far end. I never asked my father..did he go to this college for his studies??? Now I'll never come to know! Photograph of the D.J. Sind Arts College (now known as the D. J. 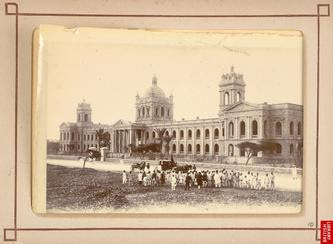 Government Science College ) of Karachi , taken by an unknown photographer, c.1900, from analbum of 46 prints titled ' Karachi Views'. Designed by James Strachan and considered this architect's greatest achievement, the college was built between 1887 and1893. Named after the Sindhi philanthropist Dayaram Jethmal, whose two family members contributed towards its cost, the building was constructed in theneoclassical, or 'Italian architectural style'. A considerable amount of money was spent on the interior of the college; the floors comprised mosaic tiles importedfrom Belgium and the eight-foot wide main staircase was fitted with ornamental cast-iron work from McFarlane & Company of Glasgow . 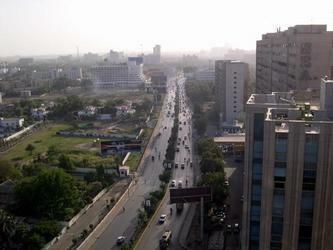 Karachi, once thecapital of Pakistan, is now the capital of Sindh province and the major port and main commercial centre of the country. 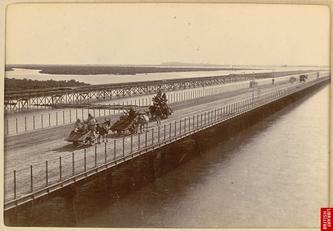 It was a strategically located small port at aprotected natural harbour on the Arabian Sea north-west of the mouth of the Indus, and was developed and expanded by the British when they took over Sindh inthe mid-19th century to serve the booming trade from the Punjab and the wheat and cotton regions of the sub-continent. 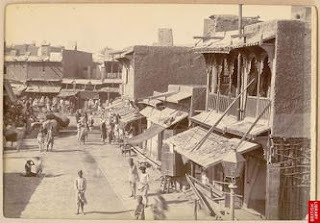 At the end of the nineteenth century the Trans-Lyari Quarter of the city was made up of a cluster of poor settlements mostly consisting of reed and mud plasteredhuts with some more permanent dwellings. At this time one-quarter of the population of Karachi lived in this area across the Lyari River. 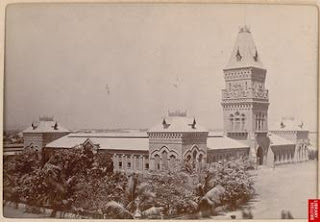 Photograph of Empress Market in Karachi , taken by an unknown photographer, c.1900,The Empress Market was constructed between 1884 and 1889 and was named to commemorate Queen Victoria, Empress of India . It was designed by JamesStrachan, the foundations were completed by the English firm of A.J. 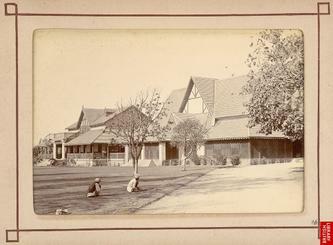 Attfield, and the building constructed by the local firm of 'Mahoomed Niwan and DullooKhejoo'. The building was arranged around a courtyard, 130 ft by 100 ft, with four galleries each 46 ft wide. The galleries provided accommodation for 280 shopsand stall keepers; at the time of its construction it was one of seven markets in Karachi. 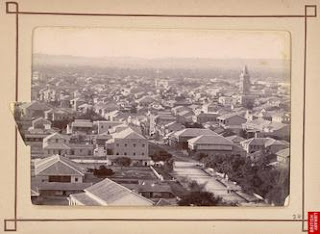 Photograph with a view looking northwards along Frere Street in Karachi, with the tower of the Empress Market partially visible in the right background. Water-colour of Karachi ( Sind ) by Henry Francis Ainslie (c.1805-1879), April 1851. 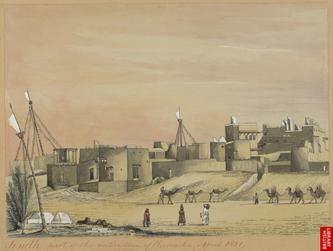 Inscribed on the front of the mount in red ink is: 'Sindh, part of the native town of Kurrachee , 1851.' 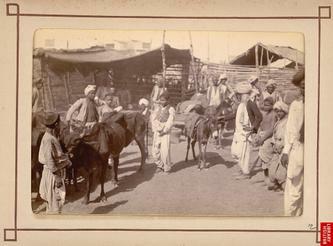 Originally Karachi was a small village made up of a cluster of fishermen's huts on the three islands of Manora, Bhit and Baba. Due to it's location at the western end of the Indus delta the town has traditionally served as an important gateway for trade into central Asia . 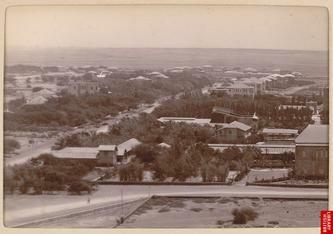 With the development of itsharbour it gradually grew into a large city and an important centre of trade and industry. 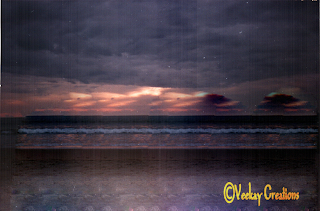 i go through old photographs of various places on internet so absolutely loved it; the photographs and the stories, especially how ur client was delighted to see some of the photographs which brought back her childhood memories; who wudn't? i'll surely show dem to my pa in law... he always tells me old stories n gets nostalgic pleasure... no one else is kind of interested in listening to dem, he complains... dis shud add to his favourite time pass sessions... :) thanx.. This is where we belong and we all should treasure these photographs.....Thx Vim. @ Kishore, this is not where we belong, this is Pakistan now & we are Indians ! Thanks Raj, for vising my blog & leaving a comment here. I don't have any more pictures of the place at present. will surely send you, if I get any. hey i want to meet somebody who has seen partition through his own eyes and felt the pain .